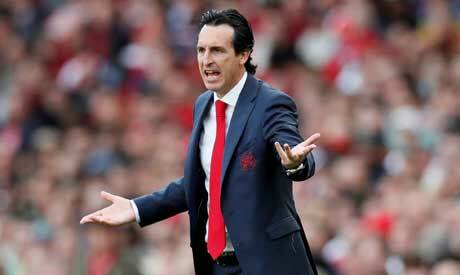 Arsenal boss Unai Emery has urged his players to express themselves on the pitch and play with personality as they prepare for Saturday's Premier League trip to Newcastle United. "Firstly we need to win and I think it is very important that in the last match we won," the Spanish manager told reporters on Thursday. "Our aim away at Newcastle on Saturday now is to keep improving things and continue to create our idea, build up our spirit on the pitch, individually and collectively. "Saturday is another step we can do, it will be difficult but I want to continue (to show) our personality on the pitch and impose this personality on the opposition and to find the win." Emery confirmed Arsenal are keen to extend Nacho Monreal's stay at the Emirates Stadium. The Spanish defender's deal expires at the end of the season, meaning clubs outside England can approach him from January next year. "First, I knew Monreal in Spain when he was playing in Osasuna and in Malaga," Emery said. "I think we need to find a new contract with him to stay with the Arsenal team."